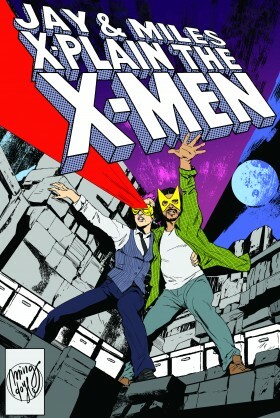 Yeah, super keen for ResurrXion. Gold? Blue? Not having been reading Extraordinary, Uncanny or All-New I’m not sure which way to go. Can’t REALLY afford to get both, ESPECIALLY given they’re coming out every 2 weeks. What is everyone else getting? I’m fortunate in that I don’t have to be as selective – the Ressurxion books I am passing on at the start are Weapon X and Cable. I will be checking out the rest of the line: Blue, Gold, Gen X, Jean Grey, Iceman, and Astonishing. I’m gonna have to disagree with your panel of the week. I was highly disappointed with the art change on Storm’s face in particular. For most of Extraordinary she had more conventionally black features (i.e. a wider nose, less angular features). But then here in Prime we see her going back to having the small nose, and the seemingly white facial features. I was so happy that someone was drawing Ororo appropriately in Extraordinary that this was quite the let down.